Leading Exporter of mineral water machine from Mumbai. With predictable concentrate on quality, our firm is exceedingly occupied with offering an incomparable quality Mineral Water Machine. Our machines are checked in terms of quality in order to dispatch a flawless range. These machines are used for packing mineral water. These machines are manufactured by vendor’s workforce using best quality material & cutting edge techniques. These machines are quite popular among our customers for providing a protected seal at all four ends of the water bottle. Offered machines are commended among our patron’s for its corrosion resistant in nature. 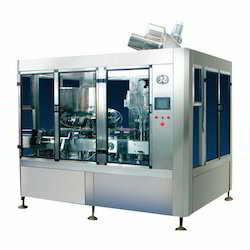 Looking for Mineral Water Machine ?